Motorola Leaks and rumors are back! 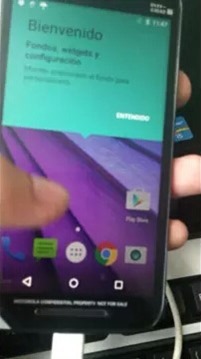 Motorola’s upcoming Moto G 2015 photos were leaked and are making rounds! Although the leaked photos are not reliable to discuss about, but the design in photo is worth talking about. If leaked pics are to be believed as true design for Moto G 2015, then we can confirm that Motorola was went for same old basic layout with revised textured rear panel, similar to LG phone’s vertical strip. With no power or volume control, Moto G looks more decorative in pics. With the features of Android 5.1.1, 5-inch screen, 1GB of RAM, 8GB of storage, and a MicroSD card slot, it looks like the new model seems to have carrying over similar features from last year’s model. 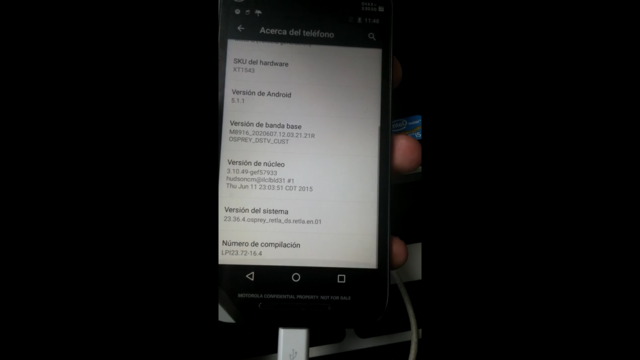 The leak also indicates that since the model is LTE model, Motorola may drop the HSPA-only version. The biggest improvement in the leak is a new 13MP rear camera paired to a 5MP “selfie” cam (the 2014 Moto G had an 8MP/2MP setup) and a new Snapdragon 410 processor replacing the older S400. The leaked photos are reportedly taken from unspecified Chinese forum, and also a video was leaked on Youtube which subsequently removed which showed a phone with an “XT1543” model number. There wasn’t much to see in this video, as it was simply someone scrolling through and reading the specs of the phone. The video also shared that the phone has an Antutu score of 23355 which is a decent improvement over the 18249 score for the 2014 model. While Motorola is yet to officially announce it, the smartphone has apparently been sighted on Flipkart.com, although the temporary product page isn’t available anymore. The third generation Moto G has model number AP3460AD1K8 and comes in an 8GB version. While there are no any official confirmations, let’s wait and see what Motorola announces later this year, but if we are to go by the leaks then it looks like the next Moto G is going to be pretty much similar to what we saw last year besides a slightly-improved main camera—and that aluminum ring. Here some one re-uploaded a copy of above mentioned video.